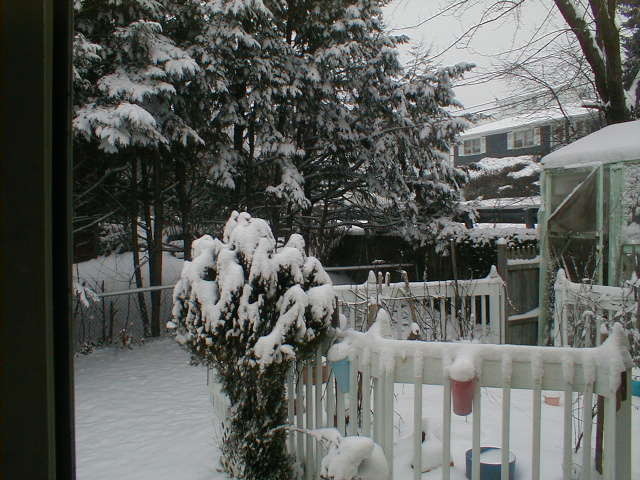 This is what it looks like outside my window today. With a view like that you may wonder why in the heck I am posting about flowers. Hubby has a special lady at the auctions that takes care of him real good. Last year she was diagnosed with Breast Cancer, and I wanted to make a special pink rose to show how much we care about her. 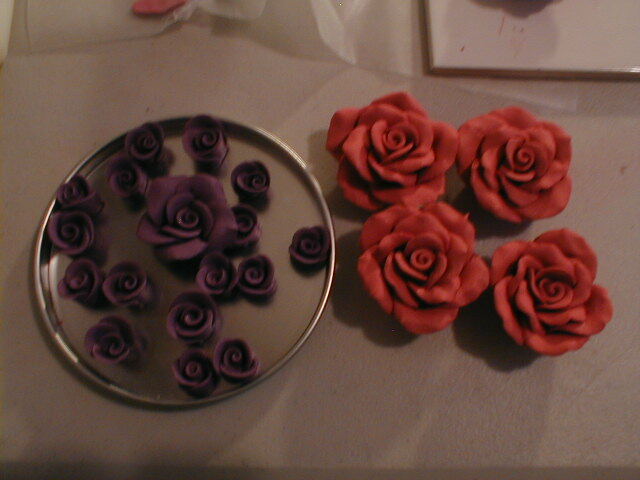 I have been a flower making fool just trying to get a good flower made for her. First I tried with the circle cutters I had on hand. That did not work so I orderded some from Clay Alley http://www.clayalley.com/ this woman has great customer service and her shipping is errily fast. 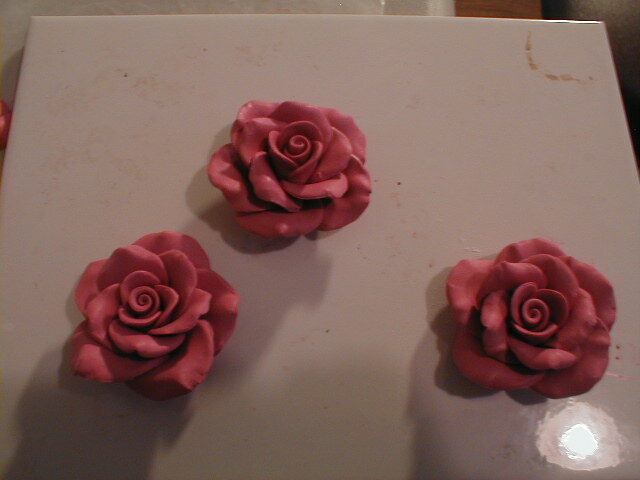 Okay I got my rose cutter set from Clay Alley superfast now I just needed to sit down and make some roses. 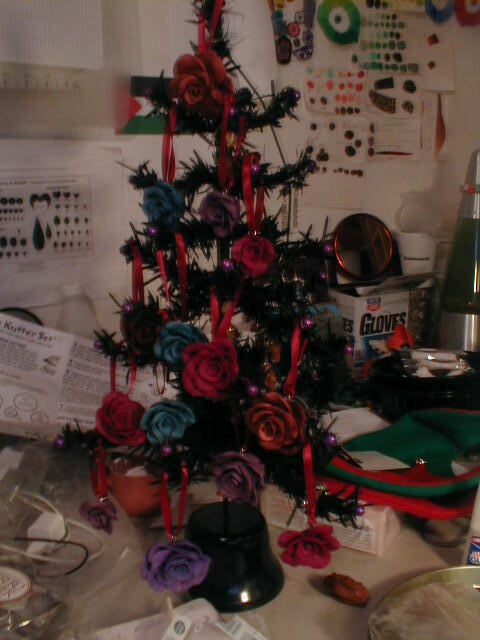 I made so many stinking roses that I ended up turning them into christmas ornaments. 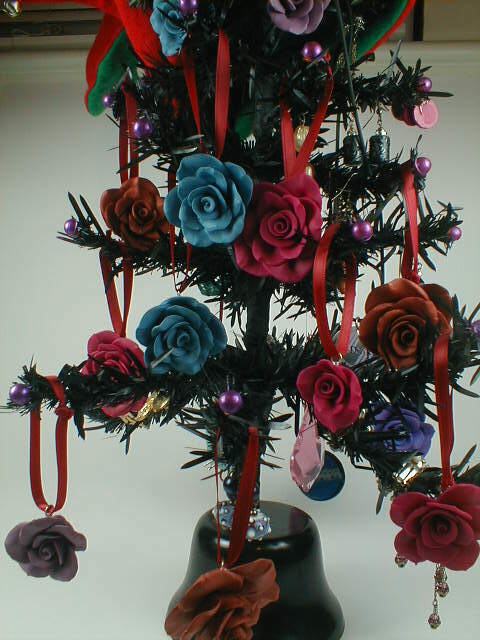 The looked good but just not exactly what I wanted to have my special rose look like. So I made some more….. Better, still just not right. What I learned is that it is very important to see whether the petal is above the next one or under it. The rows make a difference as well. One row may need the petals one way and the next may be just the exact opposite way. Another thing I learned is cussing helps not only to make it look right but to ease your frustrations. I have never cussed so many roses in my life. The cussing must have worked because look what I made just for her. She will get the sexiest one there. And now I know how to make a rose. This entry was posted on December 20, 2009 at 6:58 PM and is filed under Artistic Motivation, Uncategorized. You can follow any responses to this entry through the RSS 2.0 feed. You can leave a response, or trackback from your own site.